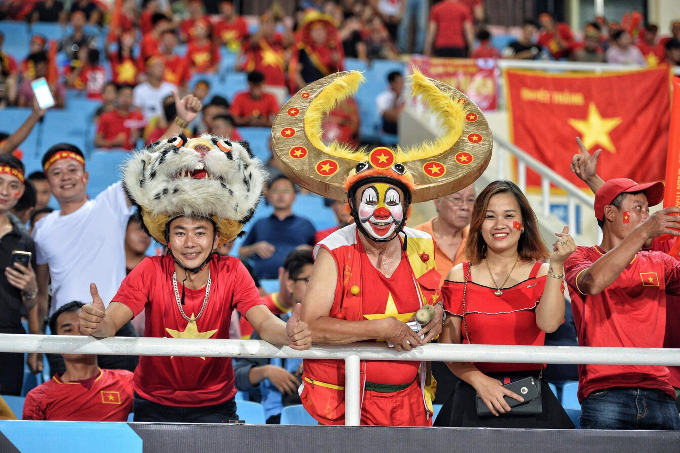 Fans are all in the sport spirit as Vietnam enters second AFF Cup group A match on home ground at the My Dinh National Stadium in Hanoi Friday night. 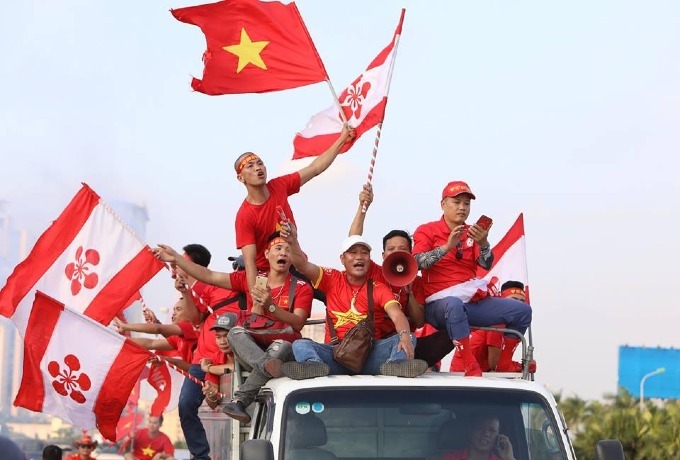 A group of fans from the northern port city of Hai Phong, two hours east of Hanoi, arrive at My Dinh stadium. 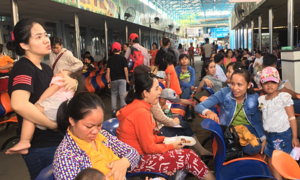 Three hours before the game kicks off at 7:30 p.m., tens of trucks and cars carrying Vietnamese fans have parked in front of the stadium. 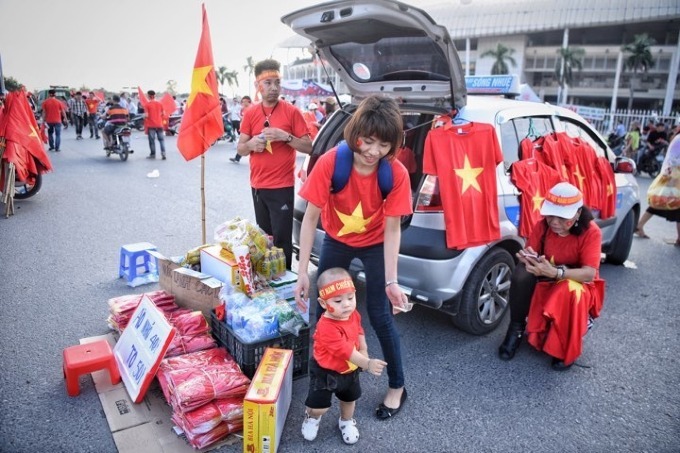 A family sells T-shirts with the national flag, snacks and drinks for supporters in front of the stadium. 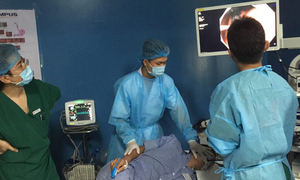 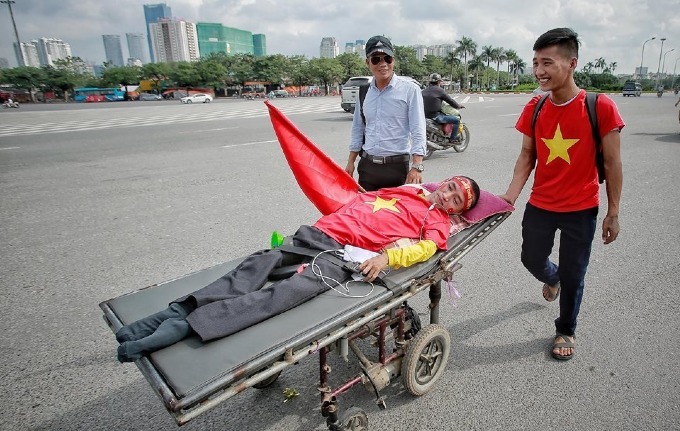 Paralyzed Nguyen Ba Ky, a fan from Nghe An Province, six hours south of Hanoi, refuses to miss the game. 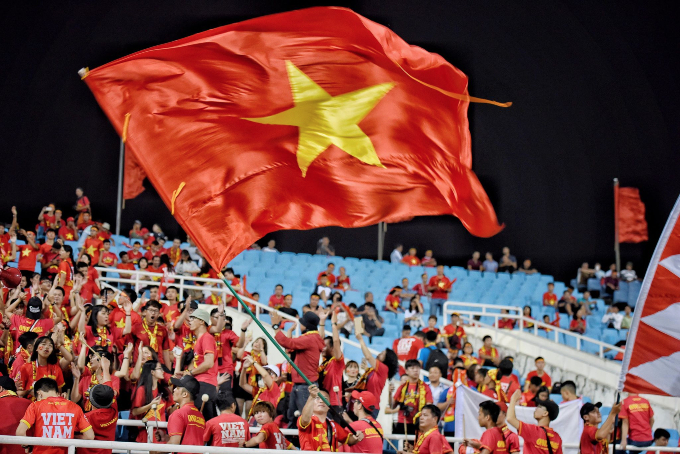 A Vietnamese fan waves the national flag at My Dinh Stadium ahead of the game. 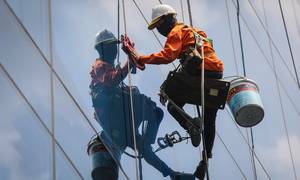 The stadium with 40,000 seats is expected to be filled up. 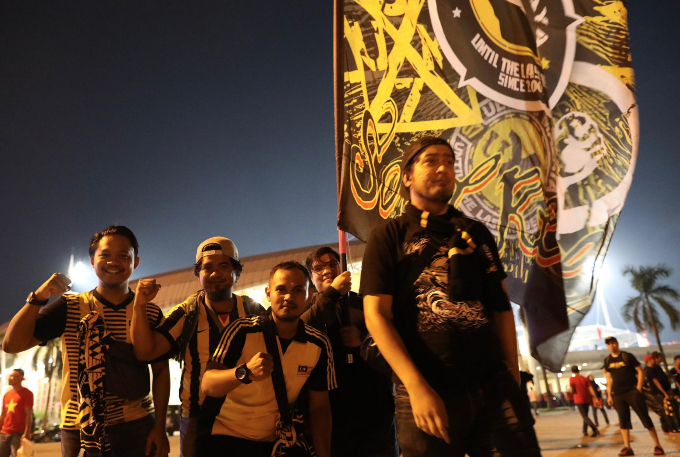 A tiger (L) and a buffalo (C) fans at the stadium. 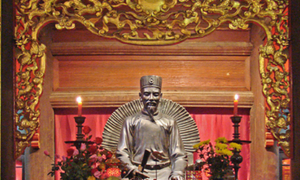 Buffalo is Vietnam's national animal while tiger is a Malaysian icon. 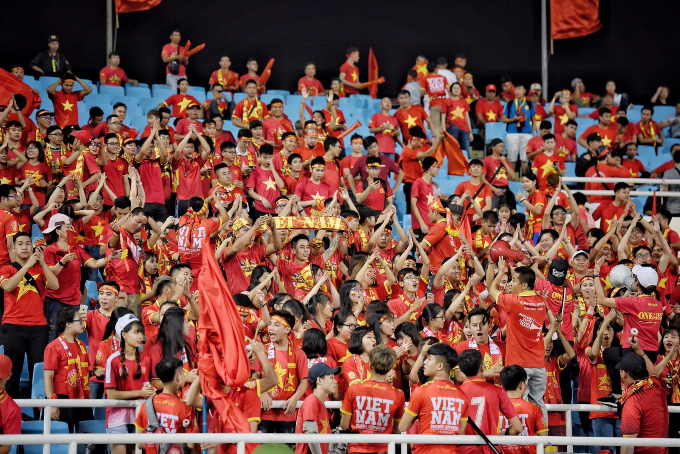 A stand at My Dinh Stadium is dyed red with Vietnamese fans. 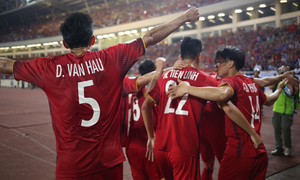 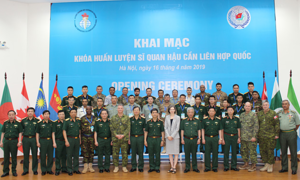 Prime Minister Nguyen Xuan Phuc and National Assembly Chairwoman Nguyen Thi Kim Ngan will join the fans at the stadium. 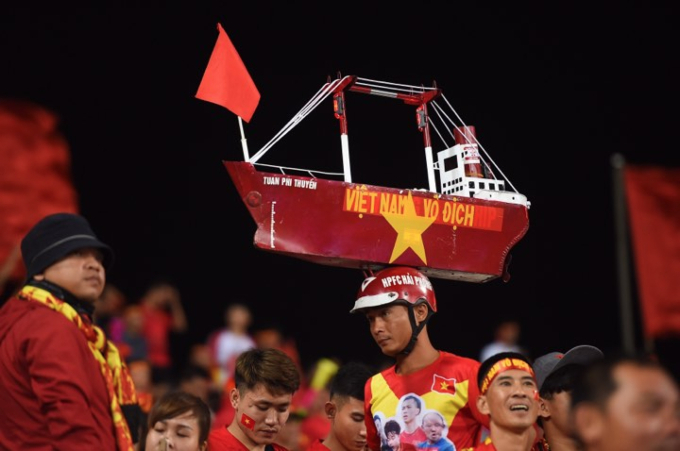 A fan carries a paper boat that reads "VIETNAM THE CHAMPION." 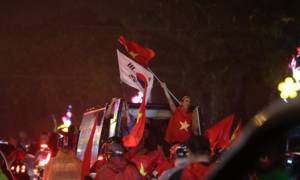 Malaysia fans are there for their players.